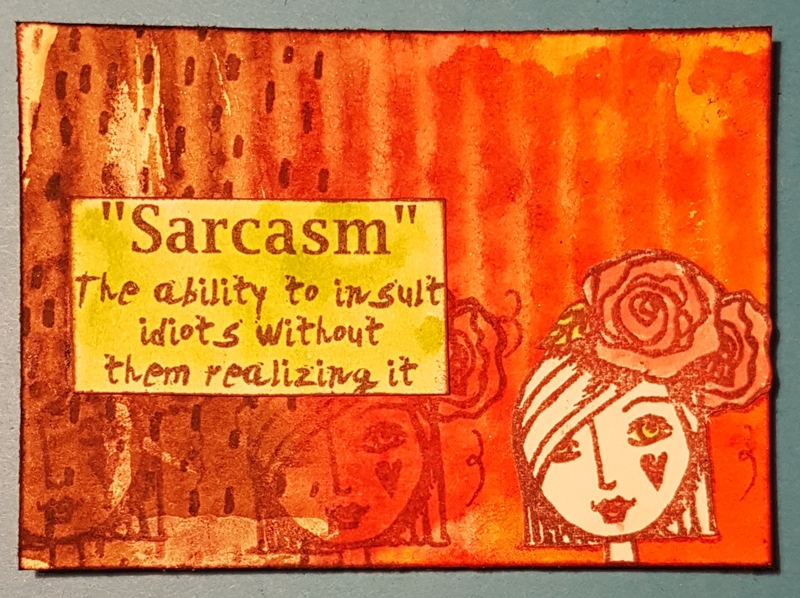 … Badass chick stamps! A friend of mine Pat subscribed to this Dutch stamp monthly set and I couldn’t resist so I joined in too! I love the first set I’ve received. So I immediately went to work playing and made the following 4 ATC’s. Embossing and Dylusions sprays for this fun blue card. 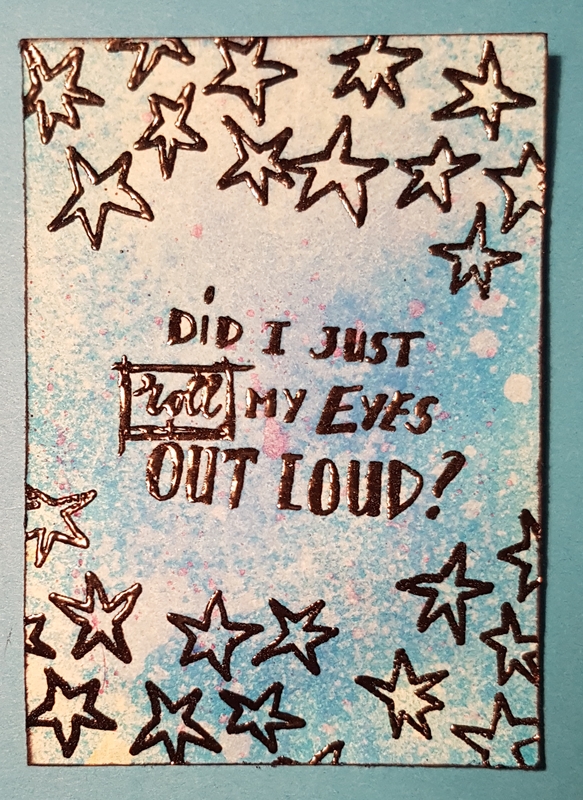 This one is using the Distress stains to create an Monte effect and then stamped the girl three times and then again onto some other card and fussy cut it out. The sentiment came from a digistamp set. 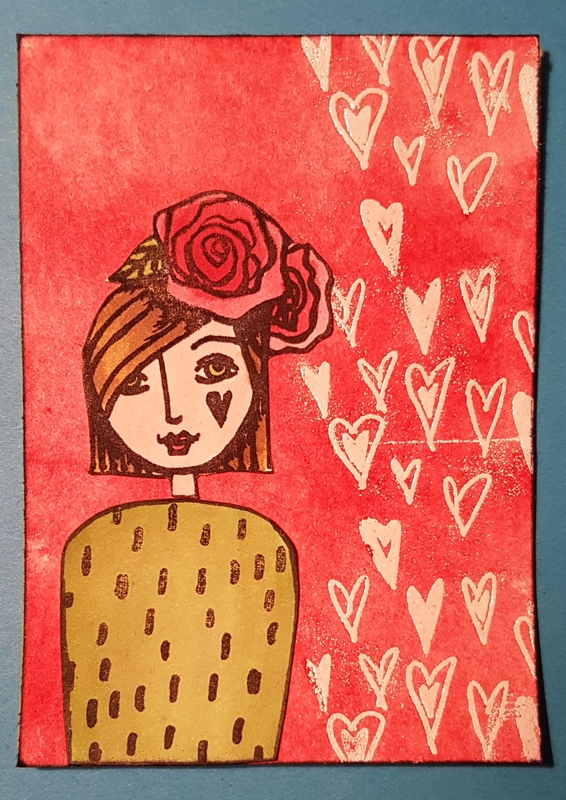 This one was using the heart stamp to emboss and then the girl stamp. I then created a simple dress and decorated it with the little dash stamps. I coloured it using SU inks. The final one is using distress oxides and a bit of paint…. oh and embossing again. 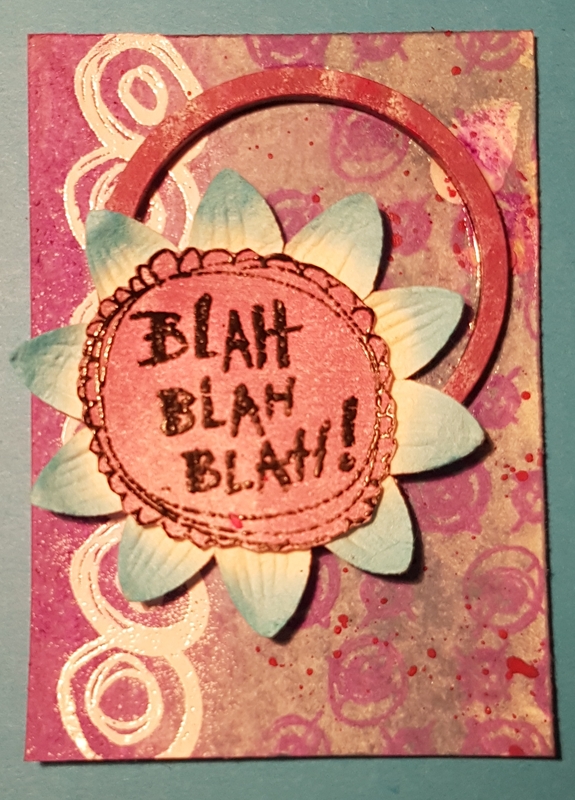 I also added the flower and a wooden circle embellishment from Artful Days Goodie box. 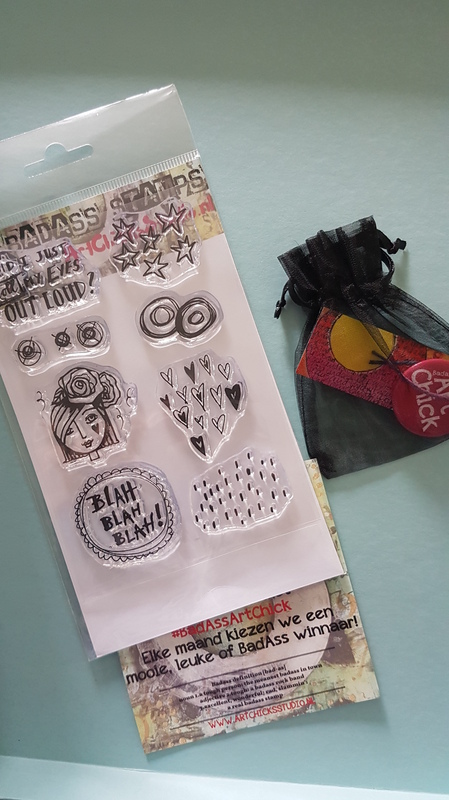 Absolutely love this stamp set… so fun and such a joy to get a lovely surprise through the post every month of funky stamps!